The man who was convicted of stabbing two young children in an elevator in a public housing complex in 2014, killing one of them, was sentenced Tuesday to 50 years to life in prison, prosecutors said. Lori Bordonaro reports. 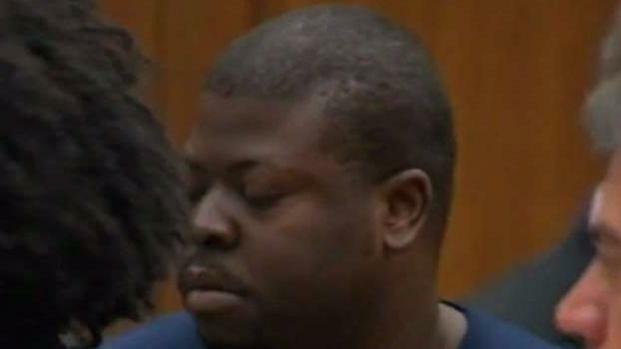 The man who was convicted of stabbing two young children in an elevator in a public housing complex in 2014, killing one of them, was sentenced Tuesday to 50 years to life in prison, prosecutors said. 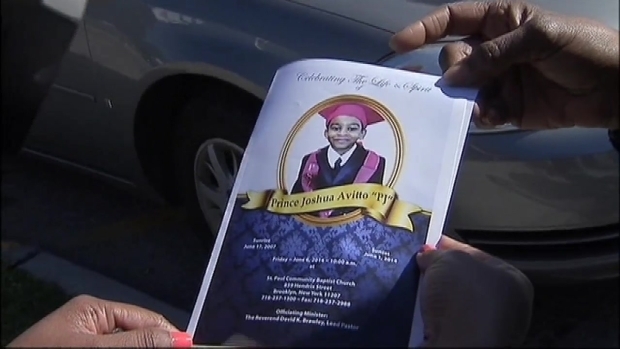 Daniel St. Hubert, 31, was found guilty last month of murdering 6-year-old Prince Joshua "PJ" Avitto inside an elevator at the Boulevard Houses complex in Brooklyn on June 1, 2014. Avitto's best friend, 7-year-old Mikayla Capers, was also brutally stabbed but survived -- and was able to testify against him. "Sometimes I try not to remember this bad man," Capers testified on the stand Tuesday. "Every day, I look at my body, I see 16 stab wounds." "If I wasn't brave for PJ, the man would never be put away," she said. 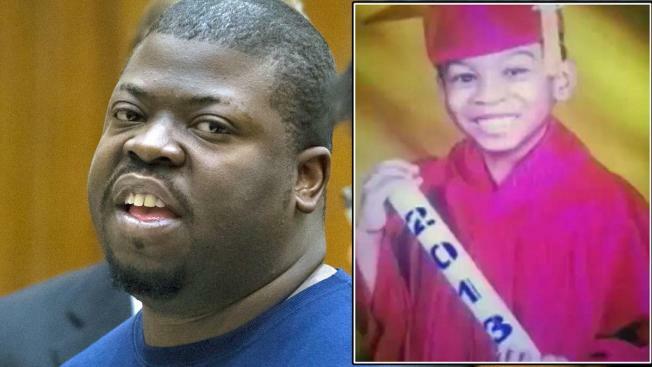 The man who stabbed two young children in an elevator in a public housing complex in 2014, killing one of them, has been found guilty. Gus Rosendale reports. St. Hubert had been living in a homeless shelter at the time of the attack. Police say he pulled out a 9-inch steak knife and started stabbing the two children after telling them to shut up. Avitto was stabbed 11 times. Capers was stabbed 16 times. St. Hubert refused to apologize during sentencing, ranting: "I told you, I never killed those kids." His lawyer had argued at trial that his client was framed. He called the surviving elevator victim and witness "a pathological liar." Brooklyn District Attorney Eric Gonzalez said in a statement, "This defendant committed an unspeakable crime when he attacked two defenseless young children for no reason, killing one and leaving the other seriously injured. "Today's sentence ensures that he will not be able to harm any other innocent people. I know that PJ's loved ones will never be consoled and that Mikayla, whose courageous testimony helped to obtain this conviction, will forever carry this tragedy with her. But I hope that they will find some solace by knowing that justice was done." St. Hubert was also convicted of second-degree murder in the jury trial. "It was the right sentence," PJ's mother, Aricka McClinton, said after the sentencing. "The judge brought down a monster like that, never needs to walk the streets nowhere." She said of Capers, "Now maybe Mikayla can live a normal life best she can. Prince can now rest in peace." "I don't ever have to see his face again, and he can't hurt anyone," said Capers. 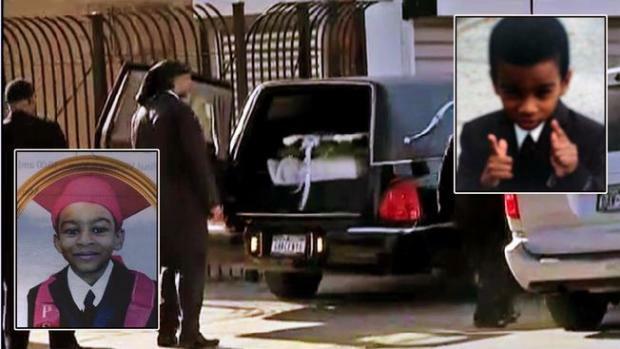 Hundreds of New Yorkers, some crying and others wearing photo-emblazoned T-shirts, gathered Friday to mourn the 6-year-old Brooklyn boy stabbed to death in a public housing project elevator. Andrew Siff reports.